Who wants a late night snack? I actually really love baking at night. It is a fun and relaxing way to spend an evening. Plus, when finished, you have a sweet treat to go with a bedtime cup of tea, and something yummy to look forward to eating and sharing the next day (or even take over to a friend’s house for a late night cookie delivery). 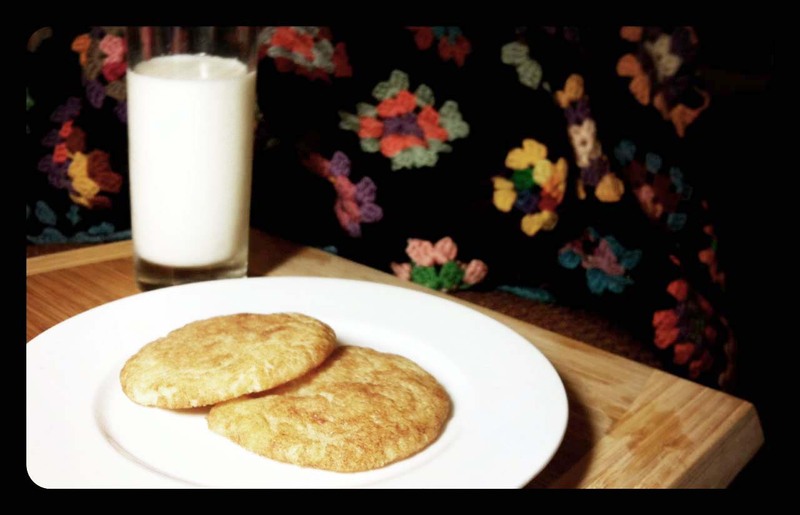 Snickerdoodles are a cinnamon and sugar shortbread American classic. If I remember correctly, they are one of the first things I ever learned for to bake myself. Although I probably have not made them is close to 20 years, I was recently reminded of how much I enjoy Snickerdoodles when Moustache (the cookie bar in Auckland CBD) opened last year, and they had them on offer. So . . . I decided to look up a recipe for Snickerdoodles and added it to my must make soon recipe folder on my computer that I am trying to work my way through during this 100 Days Project challenge. For the sake of this posting and pure curiosity, I tried looking up where the name Snickerdoodle came from. The best answer of course came from Wikipedia: ” The Joy of Cooking claims that Snickerdoodles are probably German in origin, and that the name is a corruption of the German word Schneckennudeln (snail noodles), a kind of pastry. It is also possible that the name is simply a nonsense word with no particular meaning, originating from a New England tradition of whimsical cookie names.” Personally, I prefer the second explanation. Add the eggs, one at a time, beating well after each addition. Scrape down the sides of the bowl, and then add in the vanilla extract. Shape the dough into 2.5 cm or 1.5 inch round balls. apart. Then, using the bottom of a glass, gently flatten each cookie to about 1.5 cm thick. Bake the cookies for about 10 – 15 minutes, or until they are light golden brown and firm around the edges. The centres of the cookies will still be a little soft. Remove from oven and place on a wire rack to cool.